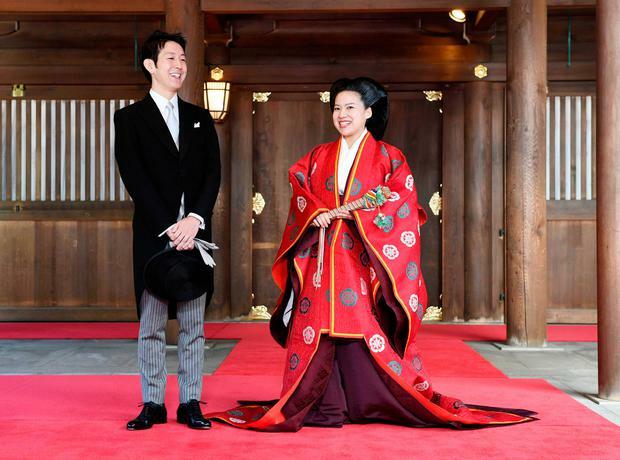 Princess Ayako married commoner Kei Moriya yesterday at a traditional ceremony at Tokyo's Meiji Shrine, to become the latest female royal to leave Japan's imperial family. Japanese royals have been given freedom to marry whom they choose for at least three generations. Princess Ayako had to renounce her imperial status because she married a commoner, as is the practice for women under Japan's succession law. She will now become Ayako Moriya. Japan's royal family is experiencing a shortage of males. Crown Prince Naruhito, who takes over after Akihito, abdicates next year, his brother Fumihito, his nephew Hisahito and Masahito, the octogenarian brother of the current emperor, are the only four male heirs to the throne left. By Foster Klug, Associated Press North Korean leader Kim Jong Un is to visit Russia and meet President Vladimir Putin, state media has said.